An IDF soldier who has suffered from leukemia since he was a child recently won the right to be assigned to a combat unit, after the soldier sued. The army had been willing to draft the soldier, but assigned him to a support unit only, turning down his request to be assigned to a combat unit. 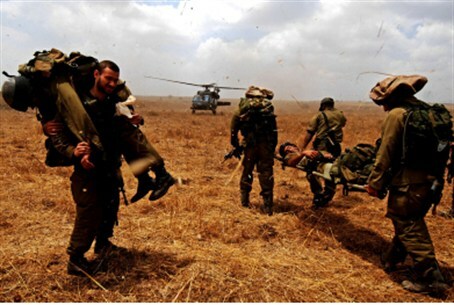 As a result of the case, the IDF's medical committee has changed its policy, and from now on soldiers who have been treated for leukemia will be admitted to combat units. The problem wasn't the soldier's leukemia per se, but the treatment he received for it; a medicine that officials were concerned could cause heart problems, a situation that would be extremely dangerous for soldiers in the battlefield. Despite this, the soldier insisted on his right to serve in a combat unit. The soldier petitioned the High Court with his request, and in the wake of the petition, the army decided to change its policy. He has been authorized to serve in several units, but will not be able to serve in infantry, air units, or special services, which doctors determined would be too strenuous for someone in his condition. As a result, the soldier withdrew his petition, and will be assigned to an appropriate unit, army officials said.